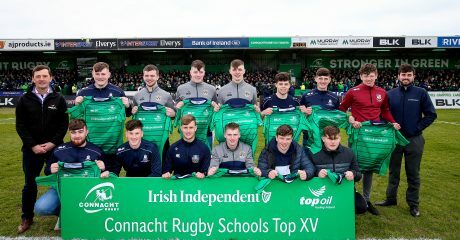 St. Jarlath’s Tuam enjoyed one of their best rugby playing days at The Sportsground by claiming the Top Oil Junior Development Schools Cup. 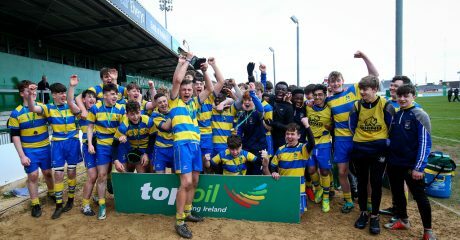 The win came just a few hours after the school also won the Senior Emerging Cup, capping off a unique double for the school which is historically known for its gaelic games prowess. The sides exchanged three times in a frantic opening 20 minutes. 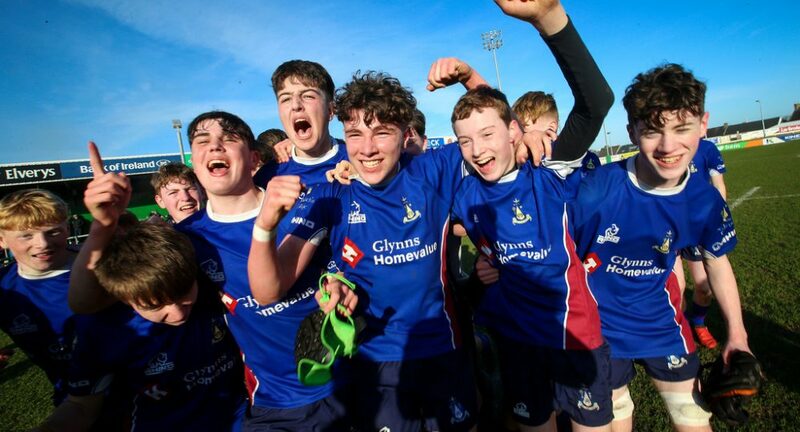 Jarlath’s took the lead after just 4 minutes after a converted try from Carl Ward before Athenry responded through Luke White Martyn 10 minutes later with Kelvin Langan adding the extras. Barely 3 minutes had passed before Ross Fahy restored Jarlath’s lead to bring it to 14-7. Kelvin Langan then kicked his first penalty of the day to make 14-10 to Jarlath’s at the break. 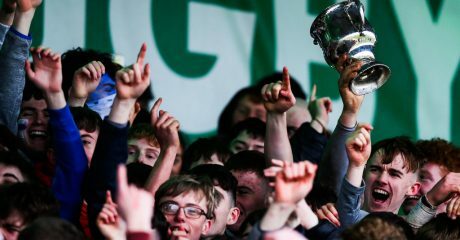 The Tuam side regain their 7 point lead with a penalty, and the win was effectively secured when Ross Fahy crossed over for his second try with 5 minutes to go. Luke Whyte Martin then crossed over for his 2nd for Athenry, but the score came past the 60 minute mark with referee Joe O’Donnell blowing his full-time whistle straight after.